This is a beautiful use of spring colors and spring-time flowers, for all of you who may be planning for an upcoming spring wedding. Laurie and Adam got married this past May. 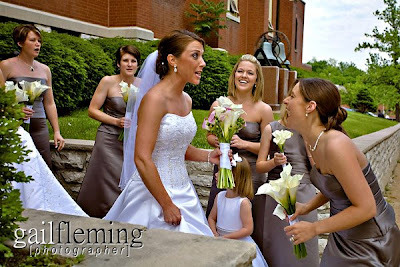 Here are some great pictures from Gail Fleming. 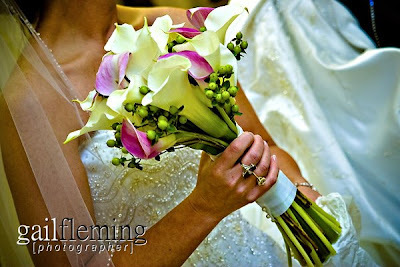 Laurie’s bouquet included large white callas, pink mini callas, and green hypericum berries. 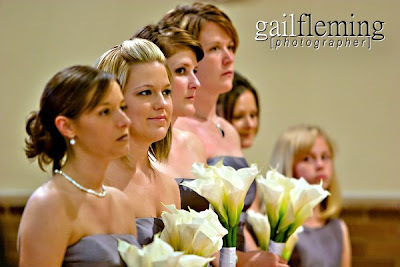 The girls carried large white calla lilies for a very clean, contemporary look. 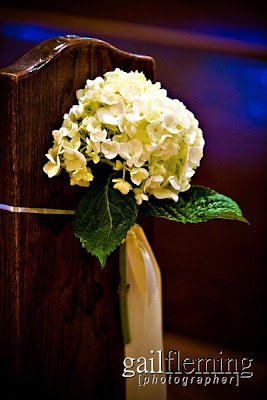 These white hydrangeas were hung on the pews and lined the aisle for the bride’s entrance. 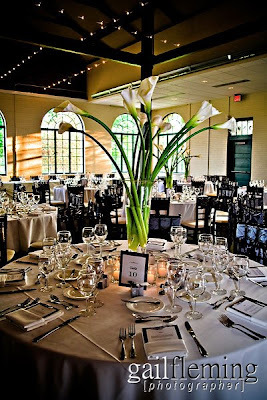 The calla theme was carried through to the reception at the Forest Park Visitors Center (Lindell Pavilion). 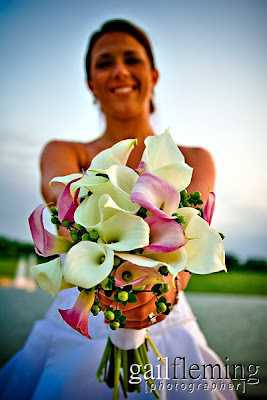 It was a pleasure working on this wedding and we wish the newlyweds much happiness!